She found romance in a mansion of secrets. 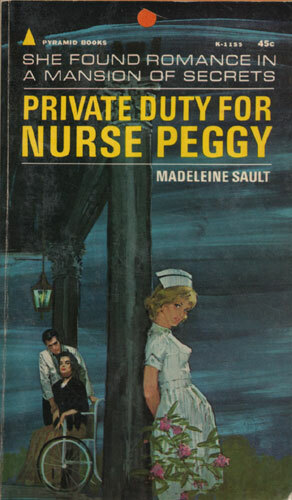 But Peg’s real problems came from two handsome doctors — rivals for Mrs. Reinley’s money, and for Peg herself! Mystery mingles with romance in this exciting story of a young nurse’s strangest assignment.